Appleton WI: Caleb Williams joins The Family as the Assistant Program Director. 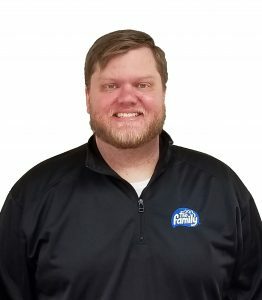 Born and raised in Chicagoland, he has grown up listening and working with some of the best radio personalities in the 3rd largest market in America. Caleb’s favorite verse is James 1:2-4; Count it all joy, my brothers, when you meet trials of various kinds, for you know that the testing of your faith produces steadfastness. And let steadfastness have its full effect, that you may be perfect and complete, lacking in nothing (ESV).